This post is going up a bit late because I had to go to my mother and father in law’s house earlier to check out a kitten they found. They originally wanted me to take the kitten until they were able to find a shelter for her later this week, but by the time I got to their house they had already decided to keep her! She is the snuggliest, friendliest kitten I have ever seen and she slept curled up in my arms forever! She even let me clip her nails with nary a fuss! She’s all black and I think they have decided to name her Jynx. I wish I thought to take my camera. 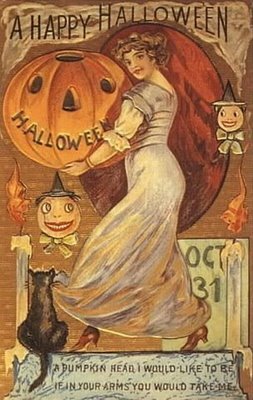 Tomorrow is Halloween, but as usual I am not doing anything special. I still have to get candy for the trick or treaters, and since my stepdaughter will be with her mom, it will just be a quiet night at home for my husband and me. 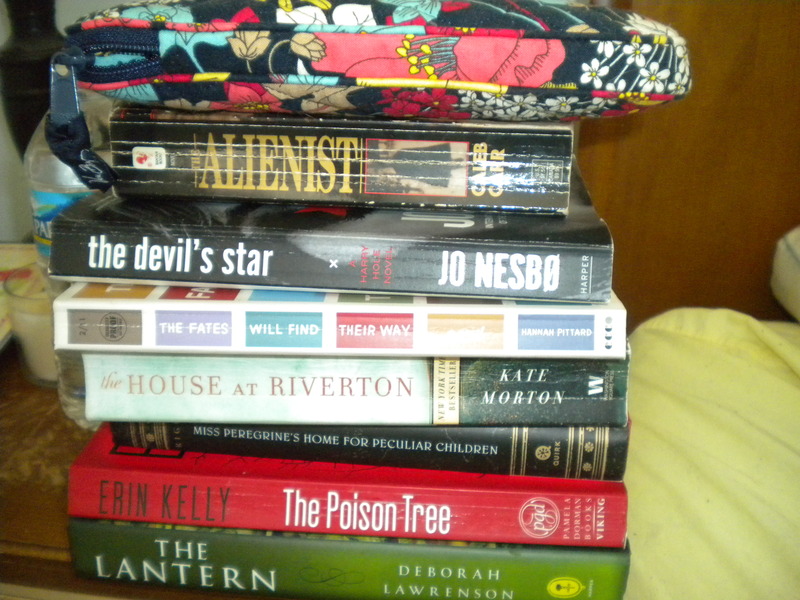 Maybe I will even finish my book, which will make my total for October 13 books. I usually only read 7-8 a month, but the readathon definitely upped that, not to mention that less hours at work=more reading time! That’s a total of ten books, which is more than I had hoped to read. I usually stick to around eight RIP books per year. As always, I really enjoyed this challenge. It’s one of the few that I always finish, which is amazing considering my track record with reading challenges! I hope everyone has a nice, relaxing Sunday. I am headed to my parent’s house shortly to have dinner but maybe I’ll squeeze in some reading at some point. Harry Hole is a drunkard. He’s falling apart at the seams and the most important women in his life have faded. He’s hit rock bottom when he’s called upon to assist with a murder investigation after the body of a woman named Camilla Loen is found in her flat. Hole is forced to work on the investigation with fellow detective Tom Waaler, who readers may remember from Nesbø’s previous book Nemesis. Hole is convinced that Waaler is involved in the dark underbelly of the crime world but is unable to prove it, so he grudgingly goes to work with him. Hole and Waaler quickly come to the realization that there is a serial killer on the loose after another victim turns up, so they are running against the clock to try and find the killer before he strikes again. And boy, is the reader taken on a ride! Just when I thought I had everything figured out, I was thrown through another loop. Which was fine with me, because despite his extreme flaws, I really started to care for Hole and was rooting for him along the way. I have wanted to read one of Nesbø’s novels for a few months after seeing a review of his book The Snowman. I knew that it wasn’t the first of his books but even after looking up the order, I always get confused. So when I was at Barnes & Noble a few weeks ago I noticed two of Nesbø’s books on one of the tables: this one and The Redbreast. I now know that The Redbreast is the first Harry Hole novel, at least as far as those that are published into English. 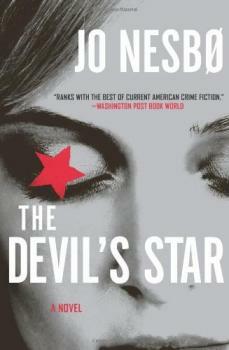 The truth is, it didn’t sounds all that interesting, so I skipped it and picked up The Devil’s Star instead. In doing so, I also inadvertently skipped over Nemesis too, and as a result I pretty much spoiled the plot of that book since it was discussed heavily in this book. So my plan is to continue reading on in order and skipping those two books, at least for the time being. The reason I was most anxious to read Nesbø’s books is because they seemed to be in a similar vein to Stieg Larsson’s Millennium Trilogy. I am happy to say I can see the comparison. After just one book of Nesbø’s books, I can’t hold him in as high esteem as I old Larsson, but damn, it’s close. I read this book for the RIP challenge. Nora Lindell goes missing on Halloween and is never seen again. Her peers are all hung up on her disappearance, and The Fates will Find Their Way is the story of her exit from the persepective of her male classmates. This is not your typical mystery novel in the sense that there is no focus on an investigation. We never hear of police involvement really, although surely there must have been some type of investigation. The only viewpoint we hear is that of the boys as they mature into adulthood. Obviously they have no concrete facts, but instead focus on the gossip that abounds. Their imaginations also take hold and they make up different scenarios that could have befallen Nora. Is she dead? Did she escape out west? Is she in India? Does she have children? The novel follows the aftermath of Nora’s disappearance for a decade after the event, so that certain details of her family’s lives afterward are woven into the different contrivances they come up with. 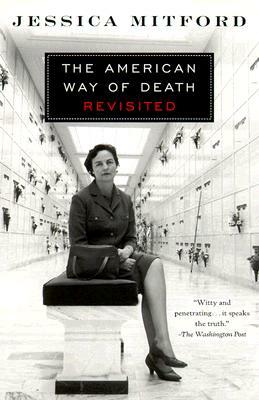 The Fates will Find Their Way was somewhat reminiscent of Jeffrey Eugenides’ novel The Virgin Suicides. The vagueness of the story along with the teen boys narrating the novel seemed very similar to me. It turns out I am not alone, because I googled the two books once I finished this one and realized that I was certainly not the first one to notice the similarities. 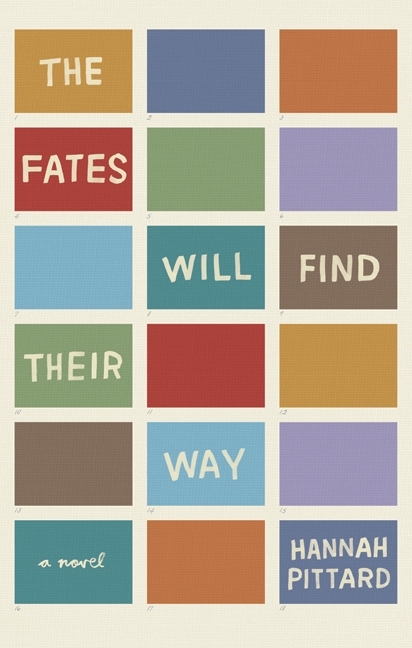 The Fates will Find Their Way did not quite reach me in the way The Virgin Suicides did. While Nora definitely had the charm and intrigue that the Lisbon sisters did, the bleary ambiguity in this book made it hard for me to focus. I think another issue I had was the structure of the novel married to the plot of a missing girl. Ambiguity doesn’t always bother me, but when I am reading a mystery I expect to at least have an idea of what happened. I never got that here. This book still had its merit but I have a feeling that the details will start to be hazy and by the time a few months have passed, I will remember very little about the book except that I found it mediocre. I read this book as a part of the RIP challenge, although it turned out not to be all that fitting. I purchased this book from a used book sale. Grace Reeves leaves her mother at fourteen years old in order to go work in a local manor with a wealthy family. The year is 1914 and the system in England is still based on centuries of tradition. Grace is part of the working class and as such, she is used to fading into the background and observing those around her without offering any reaction or emotion. She soon becomes enamored with the children of the manor though: David, Hannah and Emeline. The reader becomes aware right as the story starts that something clandestine has occurred at Riverton but we have to wait for the story to unfold. Grace is now in her nineties and recounting her time at Riverton, slowly revealing what really happened. She had become close with Hannah and Emmeline as her years in their household went on, and the two girls took on very dynamic personalities. I loved watching Hannah and Emmeline grew up. They sort of switched roles in my mind, as Hannah they both chose lives that I had imagined the other one living, which made it that much more interesting. They were both realistically flawed as well, and I was able to sympathize with them at times while being irritated with them and their decisions a moment later. Grace’s character developed a lot slower. She was so encumbered by the role that society expected her to play that she had a hard time seeing what was in front of her. Normally I would be annoyed that I realized exactly what was happening before she did and I’ll admit, there was a time or two I wanted to shake some sense into her, but it was painfully obvious that she was just a well intentioned, naive girl that was tied down by an antiquated society. I was unsure of whether I would read anything else by Morton after I finished The Forgotten Garden. It’s not that I didn’t like the book, but something about it felt a little forced and I definitely didn’t have the WOW reaction that I felt a lot of other bloggers seemed to have. I am glad I got over that thought because I thought The House at Riverton was fantastic. 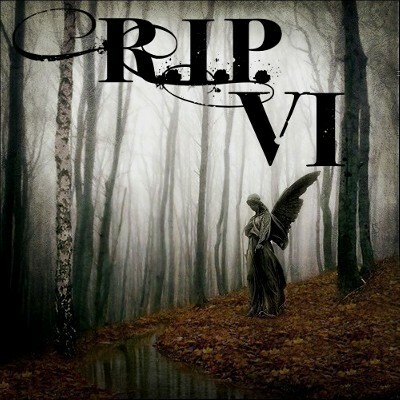 Another perfect choice for RIP. I am on a roll! There’s not much more Chip Linton could want in life. He has twin daughters, Garnet and Hallie, and his wife Emily is a well established attorney. They live in a typical suburban and Chip enjoys his career as an airline pilot. Then the unthinkable happens; Chip is flying a plane one day when a gaggle of geese flies in front of his plane, destroying the engines. Chip has to come up with a solution, and quickly, so he attempts to land the plane on a lake. Unfortunately, a huge wave envelopes the ship as it lands, killing 39 people. Although Chip is not responsible for the crash, he is wracked with guilt. Emily feels like their family needs a fresh start in order for Chip to escape his demons, so they move to an older home in New Hampshire. The home holds its own secrets, mostly tied to the apparent suicide of a twelve year old boy decades ago. The mood of the house traps Chip, and not only is he being haunted by the victims of the plane crash, but the house itself seems to have a strange hold on him. Add to that the strange women that live in the town and are trying to befriend the family, especially their prepubescent daughters, and you have quite a strange story on your hands. I was excited and nervous about the book because I have had my ups and downs with Bohjalian. I loved Midwives when I read it in high school but I read The Double Bind a few years later and was bored with it. Therefore, I was nervous that Midwives was a fluke and that Bohjalian is just not the writer for me. There were times in The Night Strangers that I was convinced I was right to be nervous, especially at the beginning. There were times when the plot and the characters started to feel cheap, but it turned out to resolve itself. I didn’t necessarily forge an understanding with the characters, but it didn’t matter because the story was so engrossing. I know some bloggers took issue with the epilogue but I actually thought the tone was perfect. It was different from the rest of the book, but there was good reason for that. Emily and Chip had obviously changed drastically from the start of the book. There’s more I want to say but I would hate to spoil it for those who haven’t read the book yet! 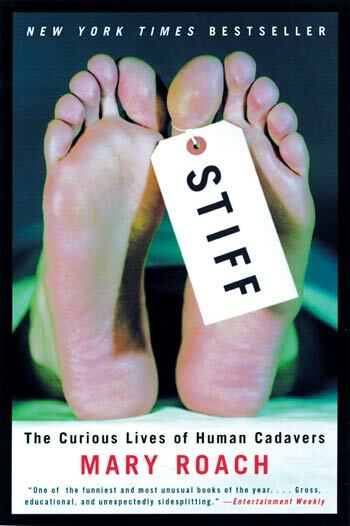 If you’re looking for a good, creepy story for RIP, this one certainly fits the bill. I received an electronic copy of this book from the publisher via Netgalley. So I said I was going to participate in Carl’s readalong for The Lantern. I didn’t even want to read the book initially, but all the rave reviews made me curious and I thought joining in with that would be fun. Then I started the book. And I couldn’t stop, reading schedule be damned. “Eve” is our nameless narrator. She and Dom have started dating pretty recently and have moved into a home together in Provence, a French hamlet where the lush landscape hides many secrets. Eve begins to realize though that she knows next to nothing about Dom. He has a failed marriage under his belt that he refuses to talk about and Eve has the feeling that there is something about his ex Rachel that he is hiding. Meanwhile, there is a dual narrative going on with an older woman named Benedicte who grew up on the property where Eve and Dom now live. Benedicte had a troubling childhood. Her brother Pierre was a satanist and masochist. For those of you who have read The Lantern already, I will just mention that the scene with the kitten really troubled me. Anyway, Benedicte’s parents ignore Pierre’s troubling behavior, and he gets worse and worse. Their sister is blind and travels to Paris where she becomes a famous perfumer, which also plays into the novel as scents and the emotions they evoke play a large part in the novel. 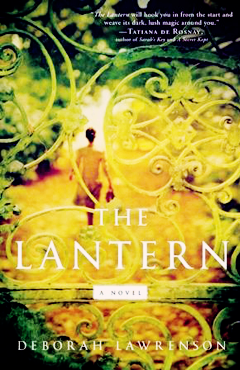 If I could choose one word to describe The Lantern, it would be atmospheric. I fell in love with the south of France and the crumbling mansion that Dom and Eve purchased. The gothic tone was perfect and the mystery surrounding Dom, and later on the property, definitely had a creepy feel. The only thing that bugged me about The Lantern was Eve. She was so meek and such a pushover. There was no reason for her not to know Dom’s past (except for the fact that it would have made the book less interesting!) and I just kept imagining myself in her position. I would have demanded answers instead of letting Dom brush everything off. The idea of living with someone when you know nothing about them is just something I don’t understand. As for comparing The Lantern to Rebecca, that may be what had me so scared in the first place. Rebecca is a masterpiece and probably the best gothic mystery I have ever read, so the comparison freaked me out because I figured there was no way The Lantern could hold a candle to it. I am happy to say that while Rebecca was certainly an inspiration to this book, it is great in its own right. 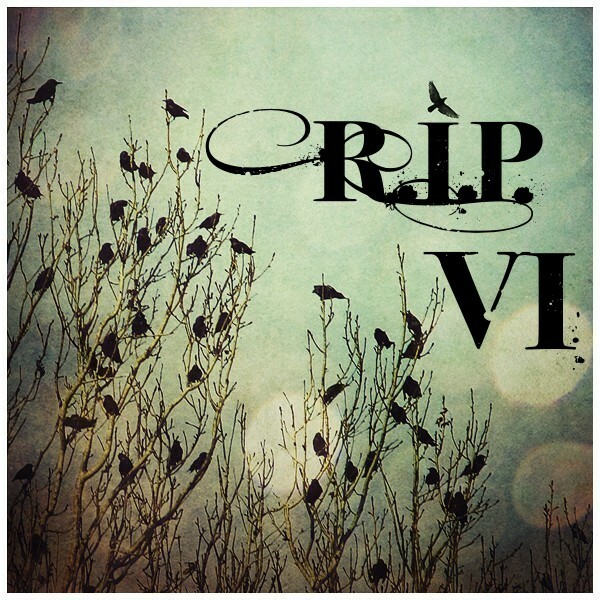 I read this book for RIP and it was absolutely perfect for the challenge.